All I can say is that I hope never to repeat this day. It certainly hasn’t been my worst, but it definitely hasn’t been my best! And to add insult to injury, our luggage (complete with clothes, make-up, and some of the workshop supplies) flew off into the sunset to who knows where. We had hoped that it might arrive here before we did, but unfortunately, we were disappointed. I laughed as we left the baggage area after filling out all the forms, because Sara kept looking back longingly at the carousel, hoping against hope that somehow the missing bags might miraculously appear. Didn’t happen. . . So tonight, besides being exhausted, we’re trying to come up with a Plan B for our workshop. I think we’ll be OK—we have the actual project and Make & Takes with us (we had them in our carry-ons) and we’re hoping our sweet hostess has many of the basic supplies that we will need to replace the ones that are flying (or sitting) somewhere in the vast airline universe. I think we’ll go to bed now. We’re finally here, we know what we’ve got and what we don’t have, and the day will be much brighter tomorrow, right? 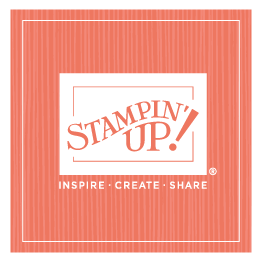 I know the workshop will be fabulous regardless—I mean, I’ve never been with a group of stampers and not had a great time. As a friend of mine likes to say, “It will be alright in the end, so if it’s not alright, it’s not the end!” I’m certain that tomorrow night, everything will be alright! P.S. I haven’t forgotten to choose the Creative Challenge winners—I had planned to finalize that tonight, but I think I’ll go to bed instead. Watch for those winners to be announced soon. . . .